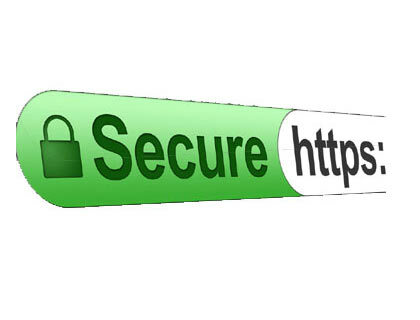 SSL certificates give your website the padlock or green browser bar, telling visitors they're safe on your site. Google is looking for this feature now so it also helps to increase your search engine ranking. I never offer my clients (and profit from) features on their websites that they don't genuinely need. However, I'd be failing you if I didn't give you the chance to consider the latest opportunity to potentially boost your position in the search engines - and to make your website even more secure from hackers. Any genuine boost in search results sounds like a good idea. These two features come with what is known as an SSL Certificate that is available on certain website servers (yours is included). They have more features that are also good for e-commerce websites - safeguarding online payments etc. The cost for this is £30 per year payable each December (pro rated in the year you start). This is in addition to your usual hosting bill. Many sites have cottoned on and now use this certificate as you'll see if you look around. Now it's open to all websites with the compatible servers. Don't forget that my service extends to Gosport, Fareham and Locks Heath, Portsmouth, Cosham and Waterlooville, Havant Rowland's Castle, Hayling Island and Emsworth to the East and Southampton, Totton, Hedge End, Chandlers Ford and Eastleigh to the West - and Winchester.